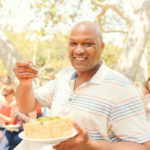 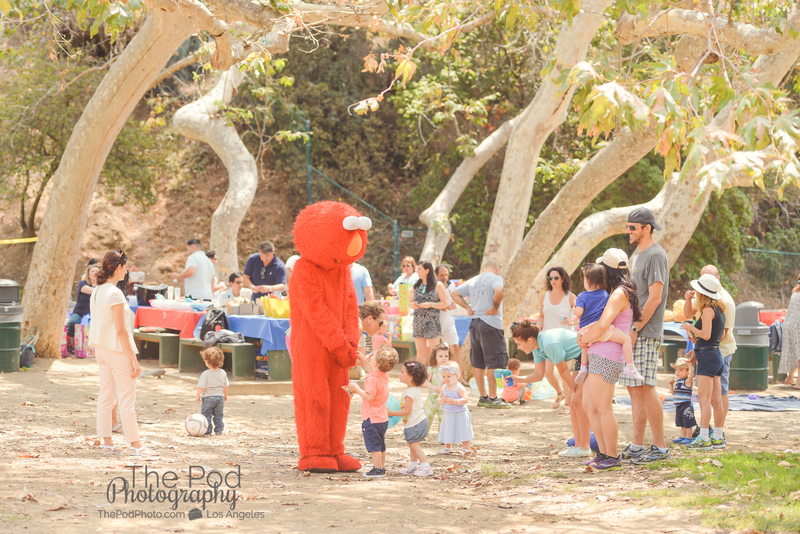 Crestwood Park Birthday Party Brentwood Birthday Party and Events Photographer - Los Angeles based photo studio, The Pod Photography, specializing in maternity, newborn, baby, first birthday cake smash and family pictures. 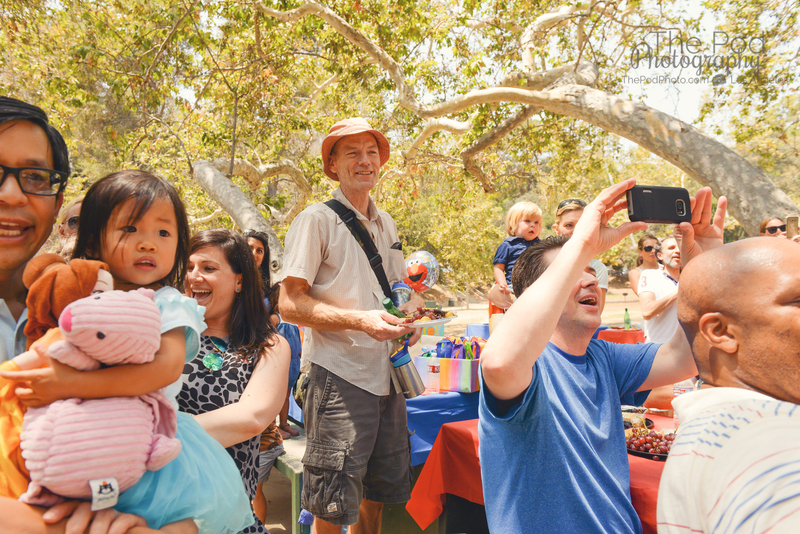 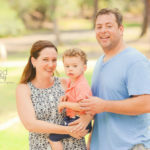 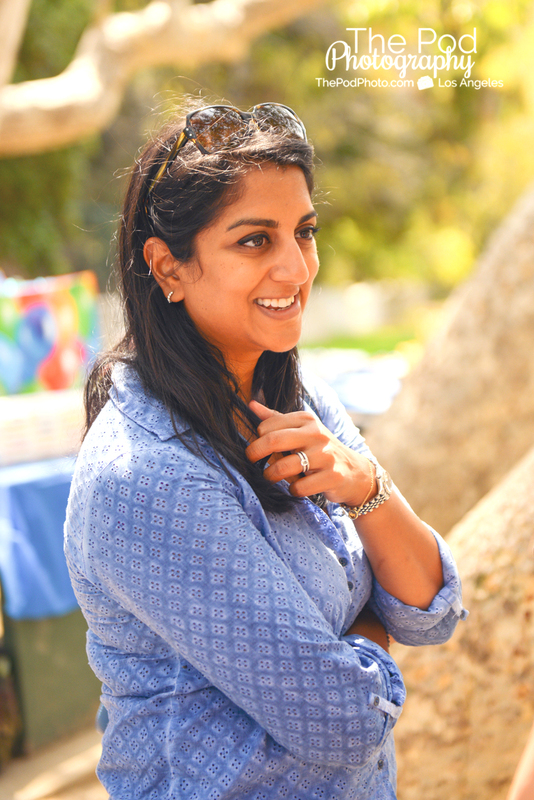 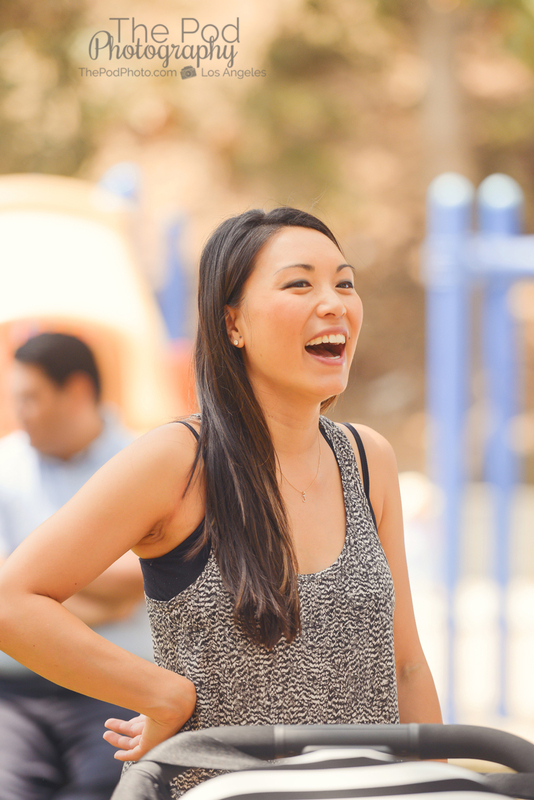 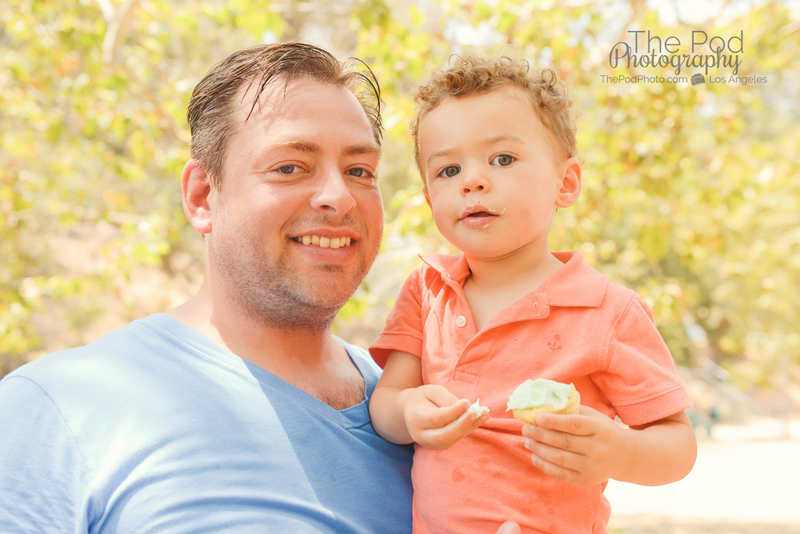 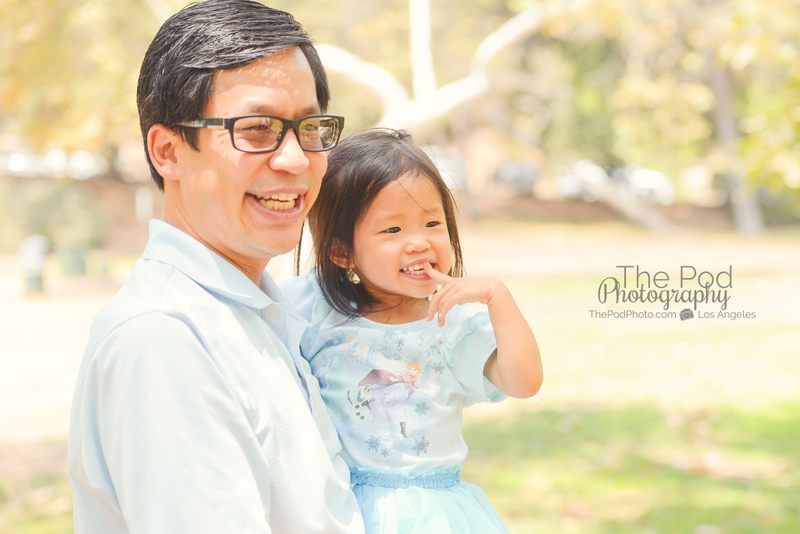 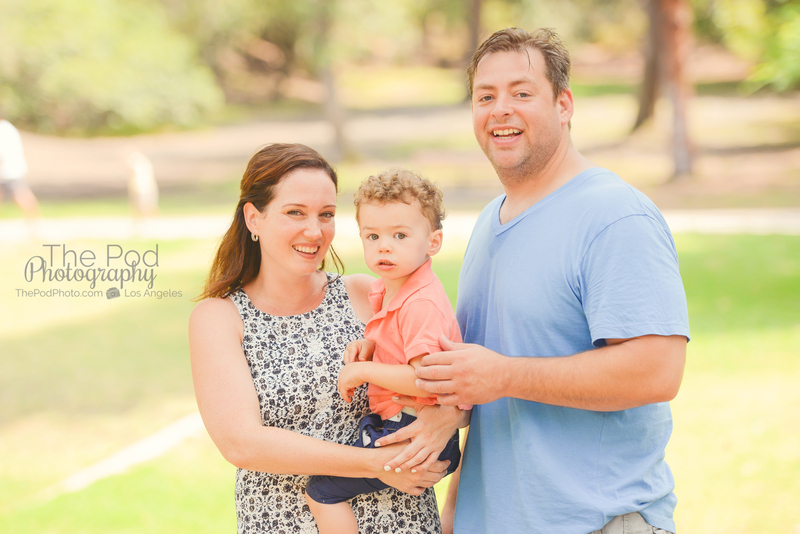 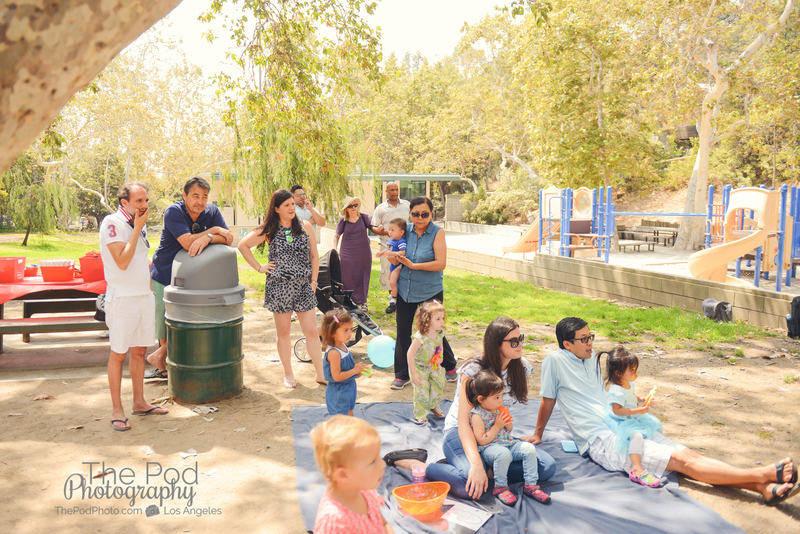 Parks are always such great locations for professional birthday party photographers because the kids get to play on the playground and parents get to mingle – all while enjoying some fresh air! 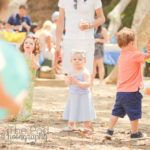 Kids roaming free make for great candid and lifestyle photos because kids give the camera natural reactions and emotions. 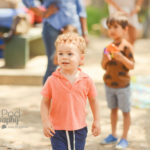 Luckily, I absolutely love candid shots and will wait out the perfect shot while the kids don’t even know I’m taking photos of them. 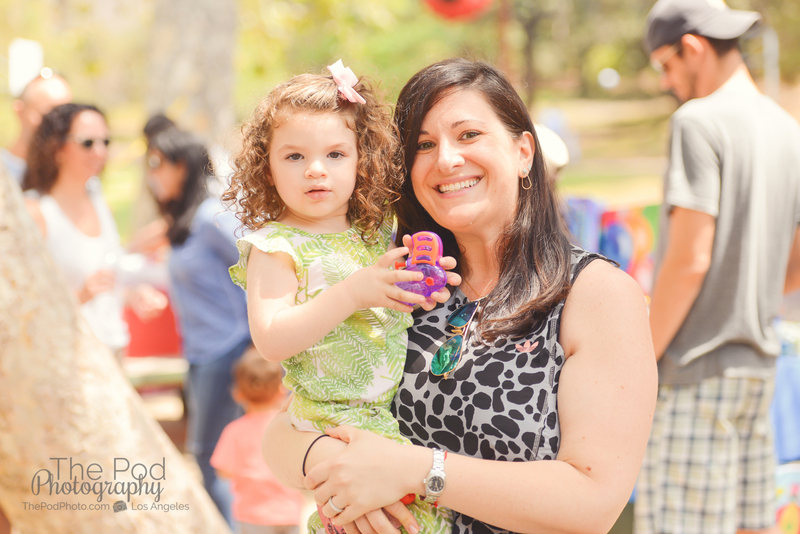 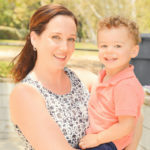 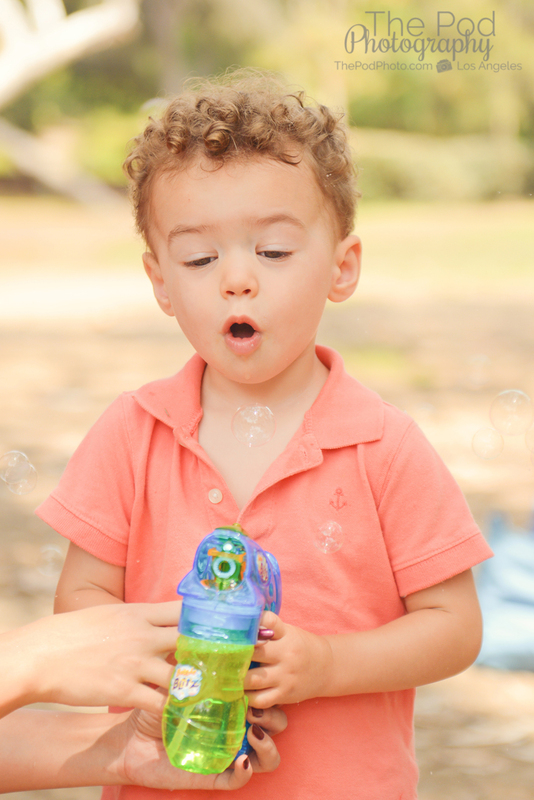 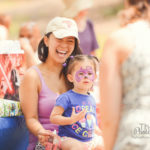 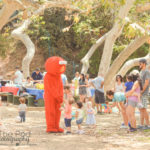 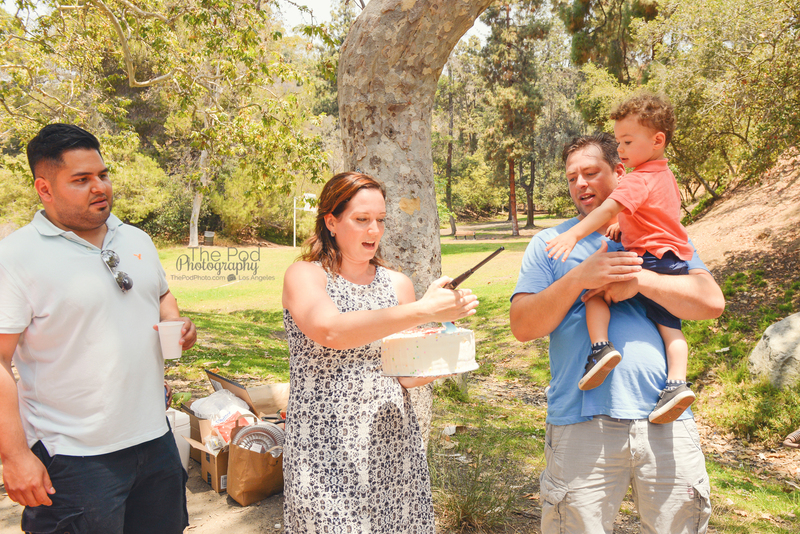 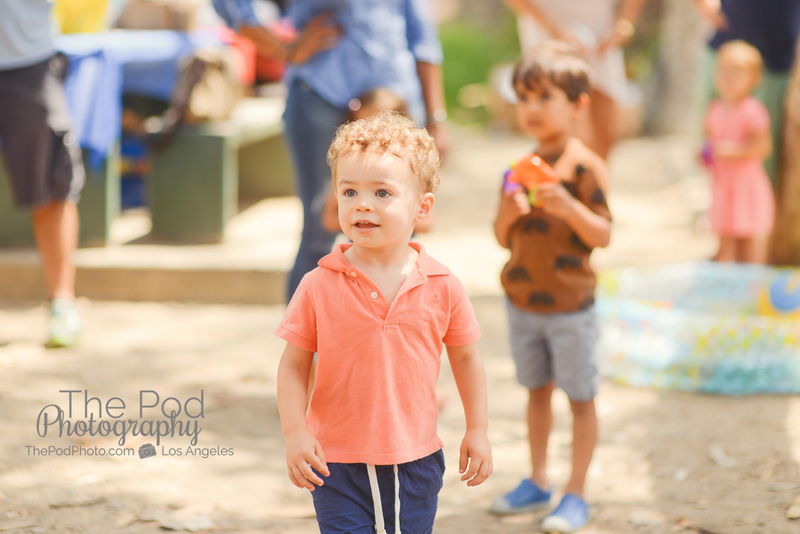 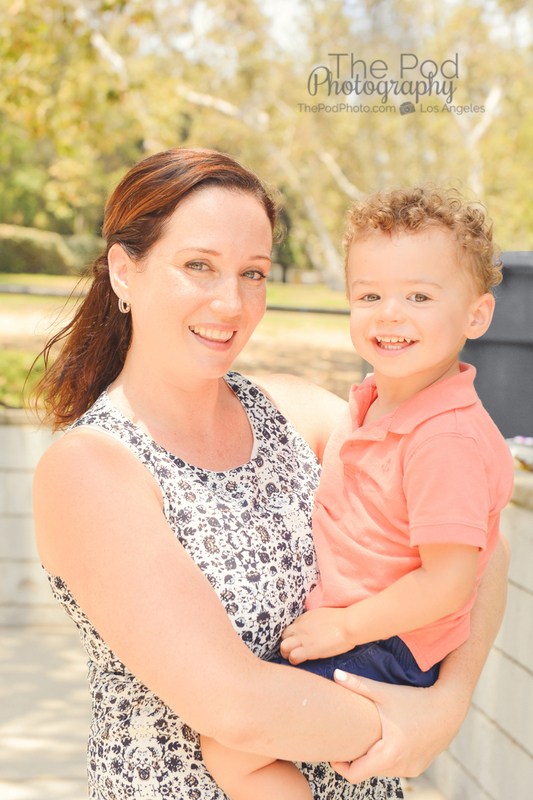 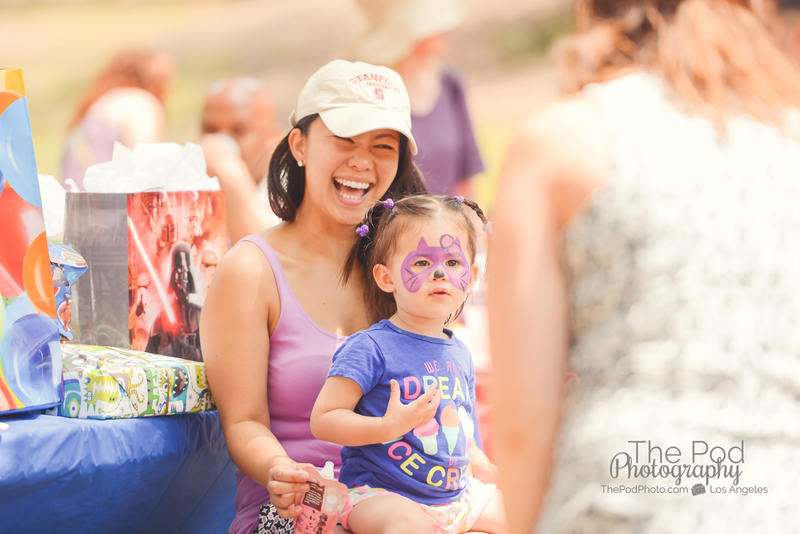 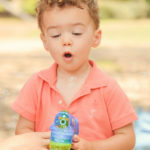 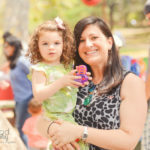 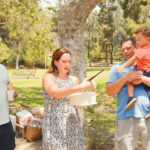 That was exactly the case with Walker’s second birthday party – I was able to capture some amazing pictures of the kiddos as they enjoyed their fun Saturday afternoon at Crestwood Hills Park in Brentwood. 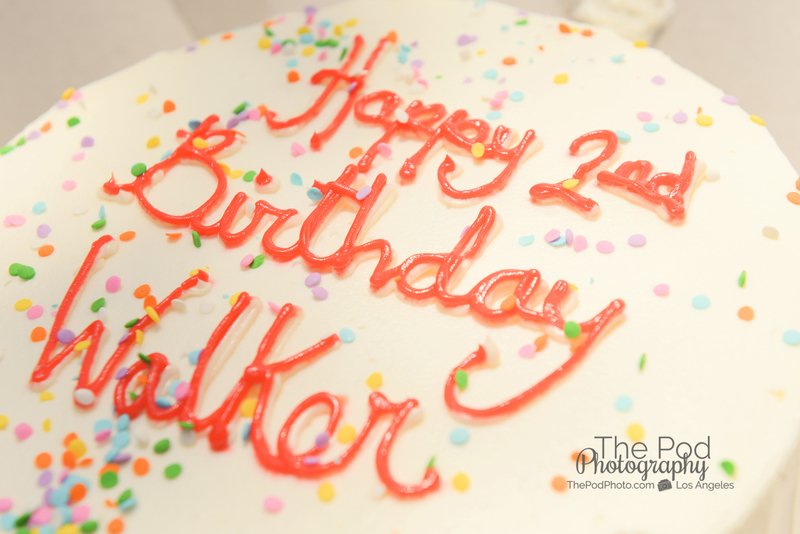 I was excited to be Walker’s birthday photographer this year and document how much Walker has grown since his Holiday Portraits last year. 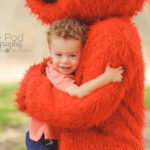 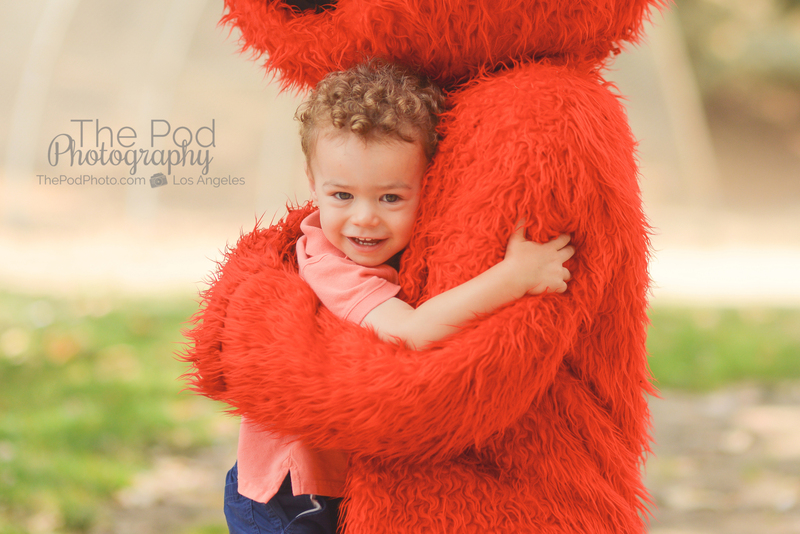 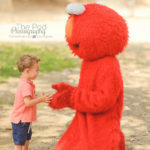 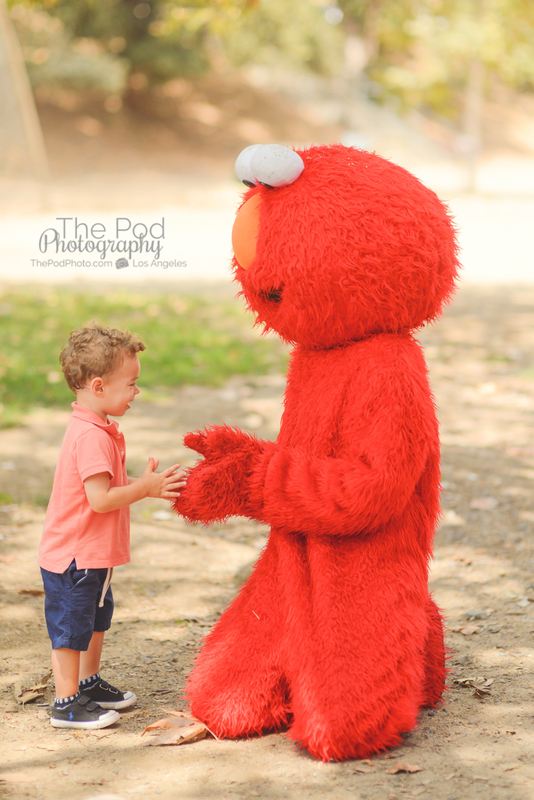 I learned quickly that his absolute favorite is Elmo, who just happened to be the guest star. 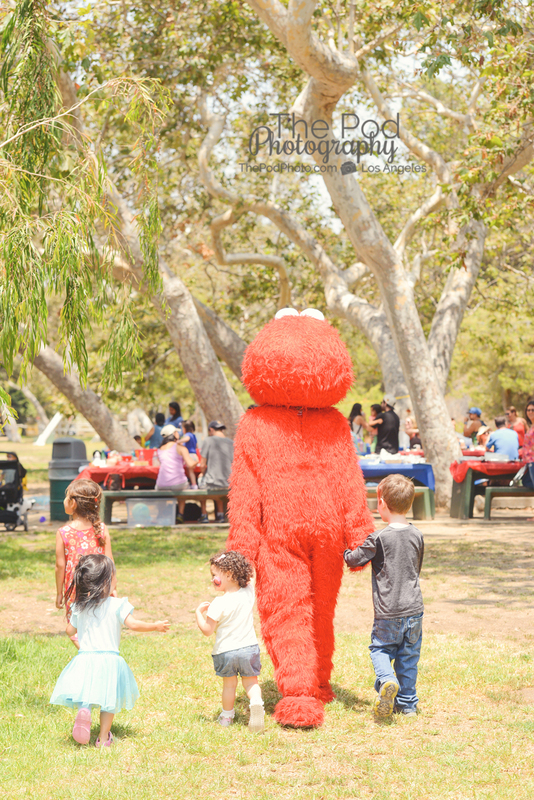 Walker couldn’t believe it as he and his entourage ran towards Elmo at full blast! 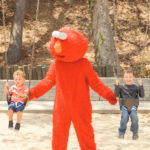 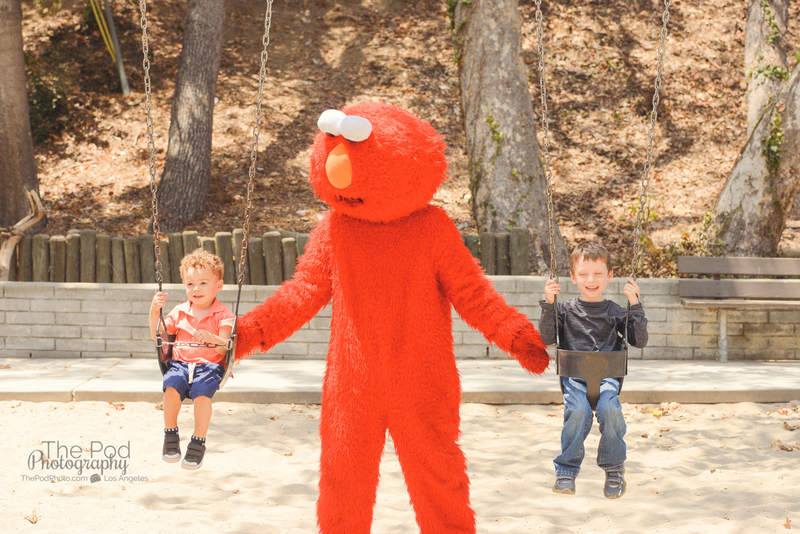 Walker and his party guests didn’t want to leave Elmo’s side, including him in activities like swinging, dancing and baseball. 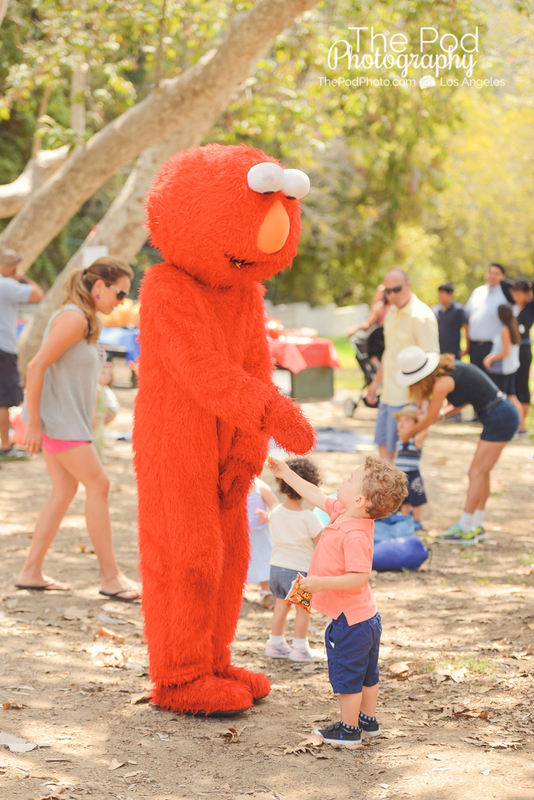 One of Walker’s friends even asked his mom if Elmo could join them for reading time later – so cute! 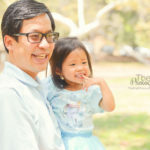 While the kids were playing with Elmo, I was able to grab some candid portraits of the parents as they were catching up and chatting with friends. 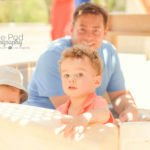 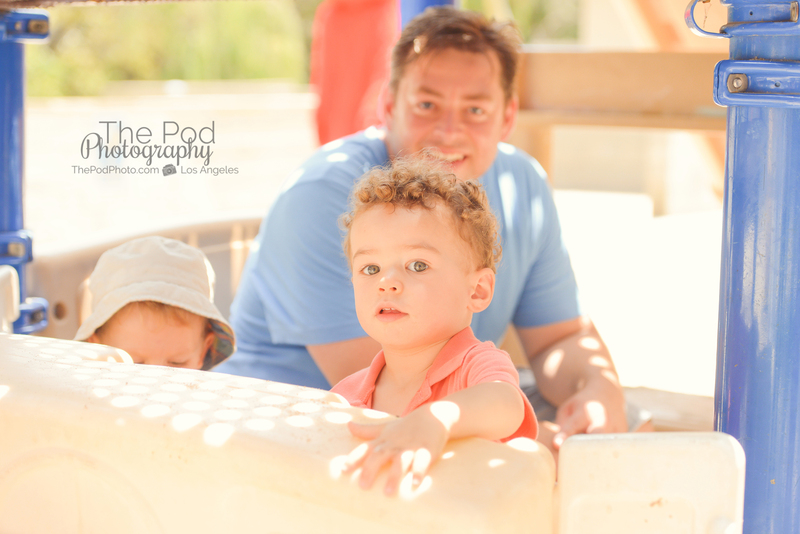 I love to focus on the parents while they’re having fun catching up with friends because it makes capturing smiles easy! 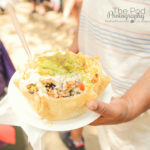 Posing proud with your awesome taco bowl can also create a smile, too… Love that they did a make-your-own-taco-bowl at Walker’s party so everyone can eat as they please. 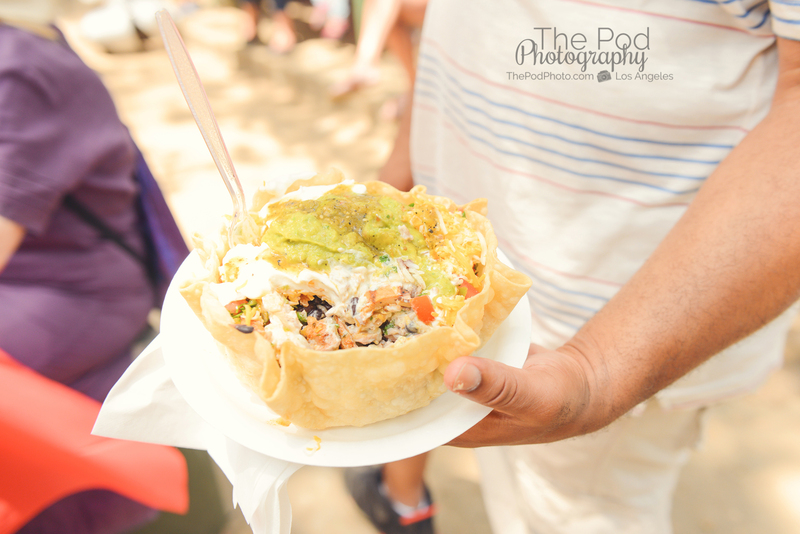 Plus, who doesn’t love tacos?! 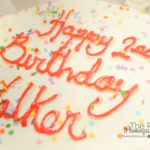 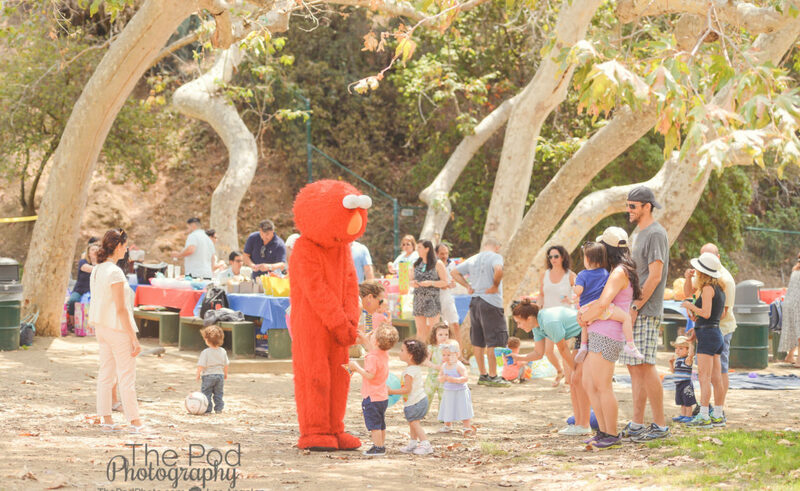 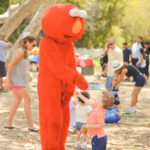 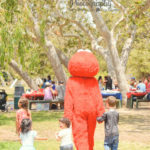 Food aside, Elmo also stayed long enough to sing Walker a ‘Happy Birthday’ with the whole party. 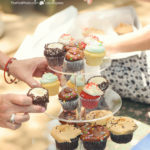 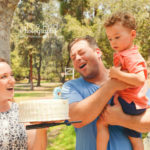 I immediately recognized the cupcakes and cake from Susie Cakes once they were out because we use Susie Cakes bakery for all of our First Birthday Cake Smashes in the studio! 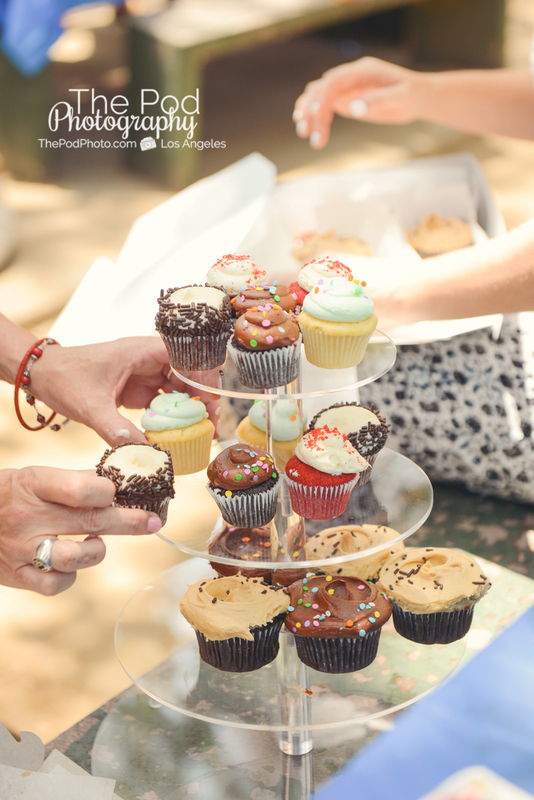 Needless to say, the kids loved the baked goods and devoured them quickly! 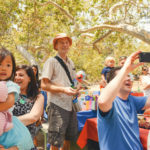 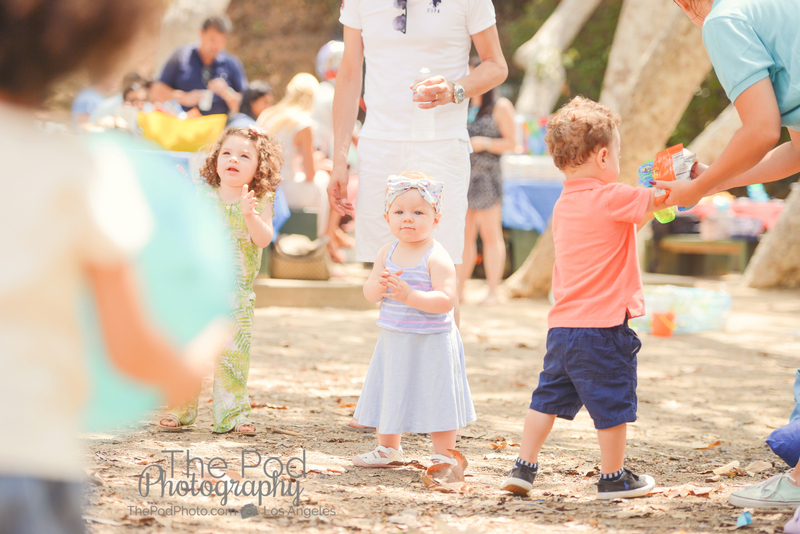 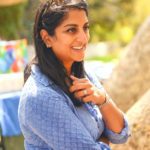 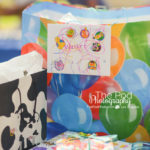 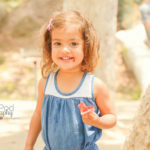 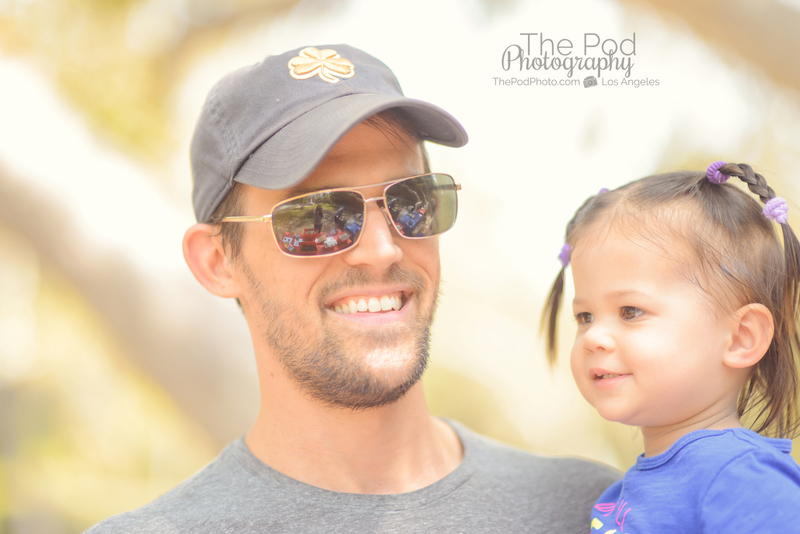 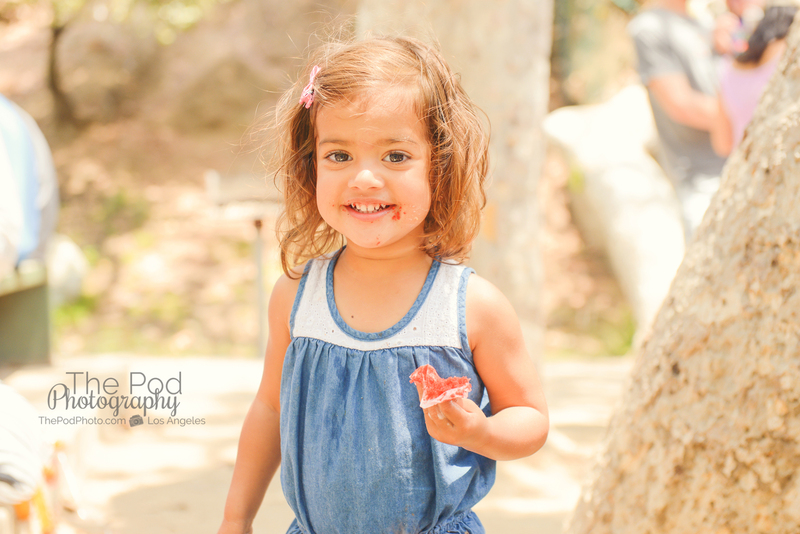 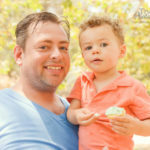 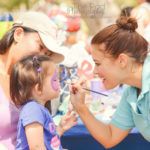 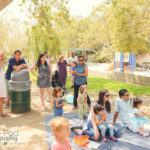 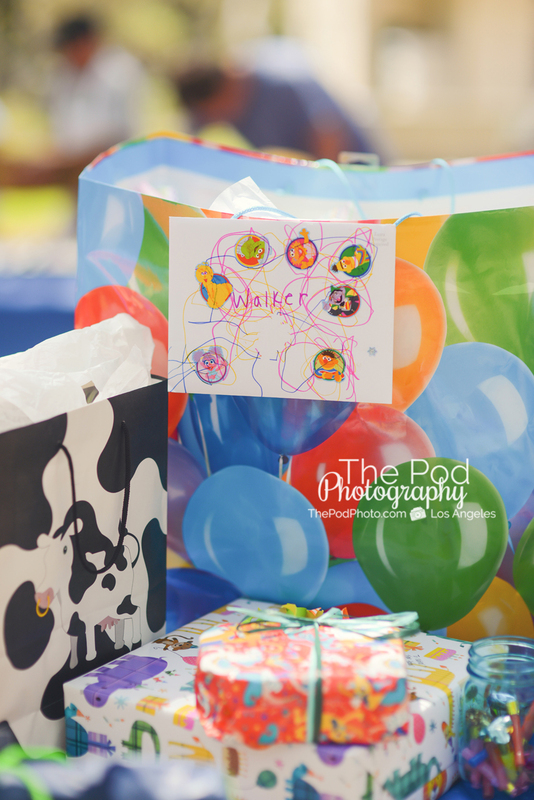 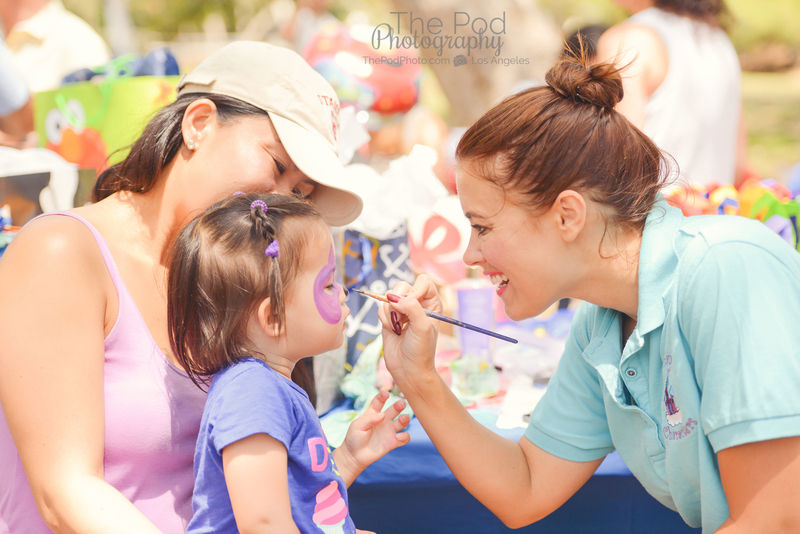 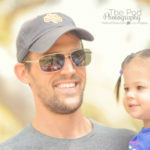 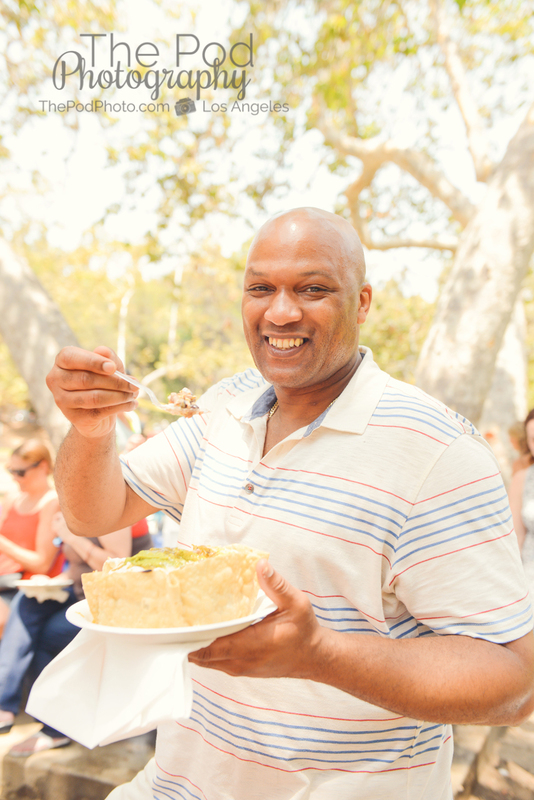 If you’re planning your little one’s birthday party, please visit our website www.ThePodPhoto.com and our Events page here and call the studio at (310) 391-4500 so we can document your child’s birthday party! 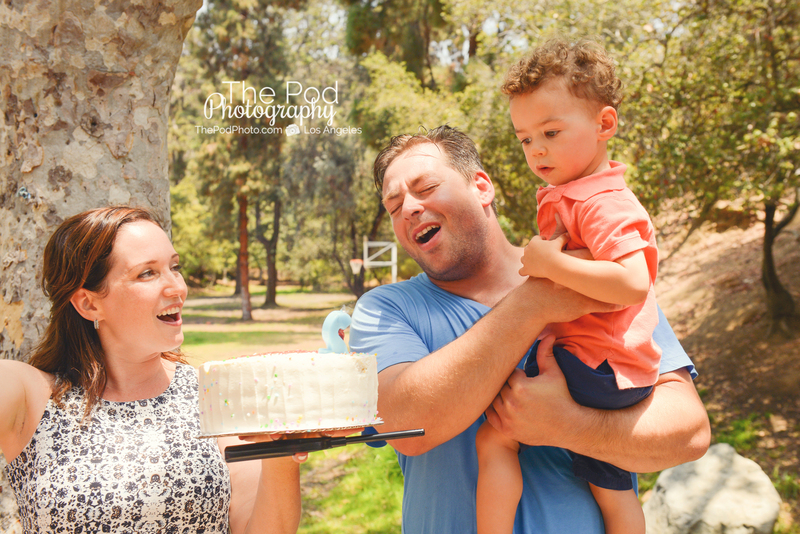 We’re Named Top 5 Best Photographers in Los Angeles in the Baby and Maternity Category!